YMCA Teesdale is extremely proud of Barnard Castle YMCA charity shop. 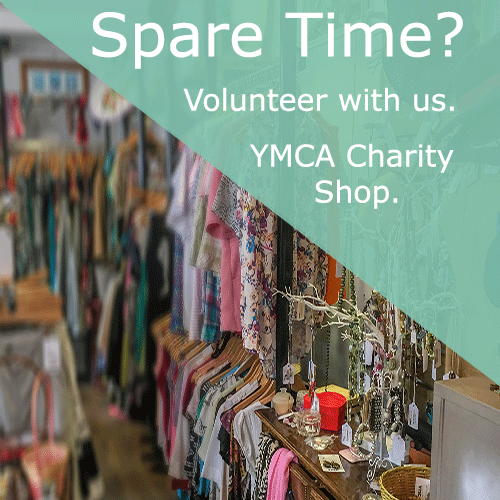 YMCA Teesdale and YMCA Barnard Castle Charity Shop work in partnership, for example, a proportion of the money raised in the shop, through the sale of donated goods, is used to help transform the lives of the young people in our community. Our shop sells a huge range of items. Second-hand retro goods, high street and designer clothing, accessories, books and also have a small selection of furniture plus so much more. We have a number of volunteer opportunities at our YMCA shop. Sorting and preparing clothes or furniture for sale. Back office duties – steaming, pricing and sorting stock. Arranging collections of donated items. Representing YMCA on the high street. Our shop gets very busy and we are in real need of YOU. Please get in touch and help. If you are interested in volunteering please call in to the shop for an application form or download it here. Please contact YMCA Teesdale Retail Shop (Barnard Castle) directly for further information.